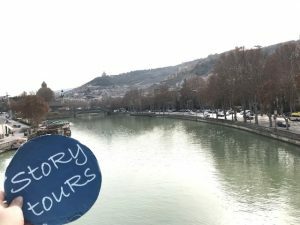 Travel stoRy on Tuesday takes us today to Caucasus, to Tbilisi, the capital of Georgia. 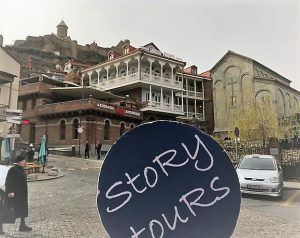 The Narikala Fortress and the St. Nicholas church captured in the photo are built on steep rock overlooking the city and the Kura River. They could tell many stories from the city’s rich history that started in the 5th century. Do you know that Georgian scripts are unique in the appearance? You will not find the in any other language. Their alphabetical order is very similar to the Greek alphabet.